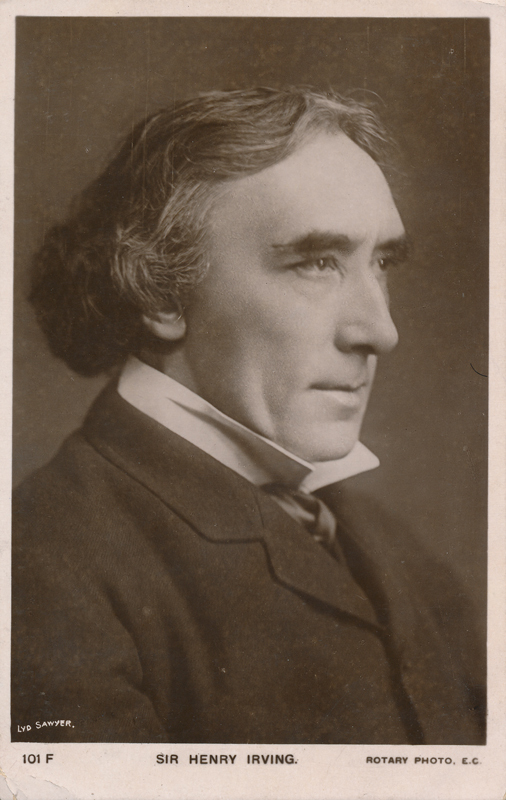 Sir Henry Irving was the stage name of John Henry Brodribb, who was born in 1838 and raised in a working-class family. He was one of the most famous British actor-managers and dominated the late Victorian Stage (along with Sir Herbert Beerbohm Tree). He was born in Somerset but lived in London from the age of ten. 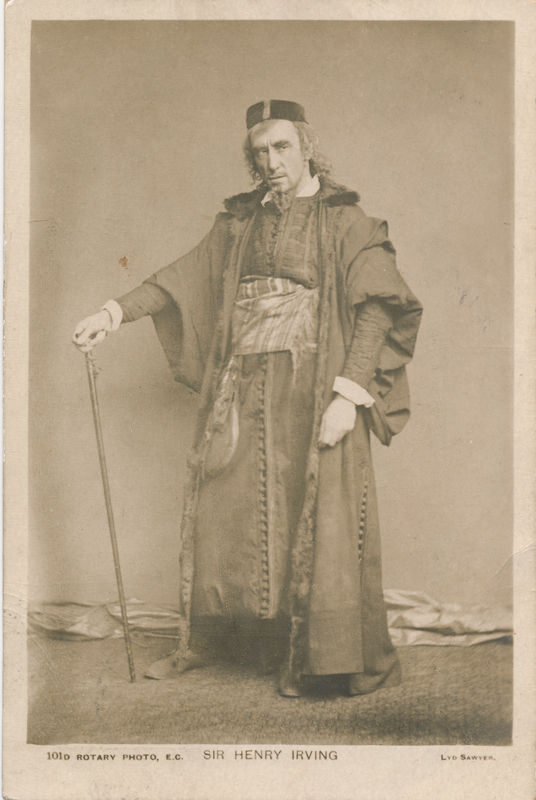 It was seeing Samuel Phelps (also a mentor to Sir Johnston Forbes-Robertson) playing Hamlet that inspired Irving to take to the stage, and he joined the Lyceum Theatre, Sunderland, in 1856. 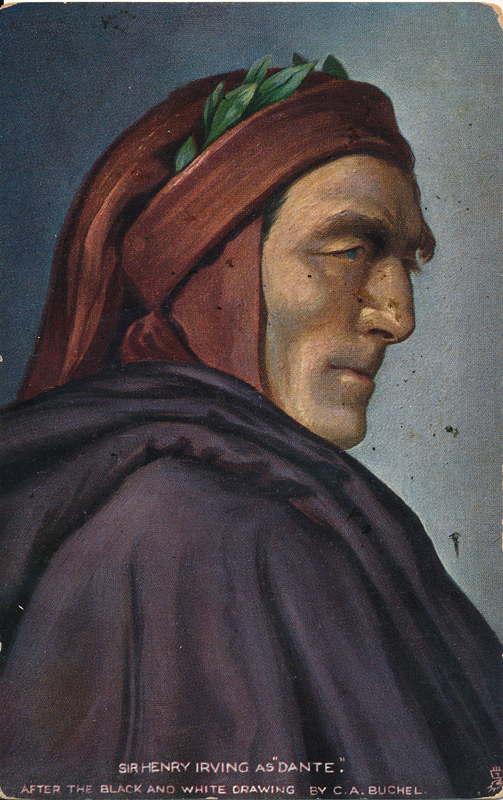 Irving serves as somewhat of a common ancestor of the majority of the players in our collection and on the site, having mentored Forbes-Robertson and Sir Frank Benson, who himself mentored Beerbohm Tree. 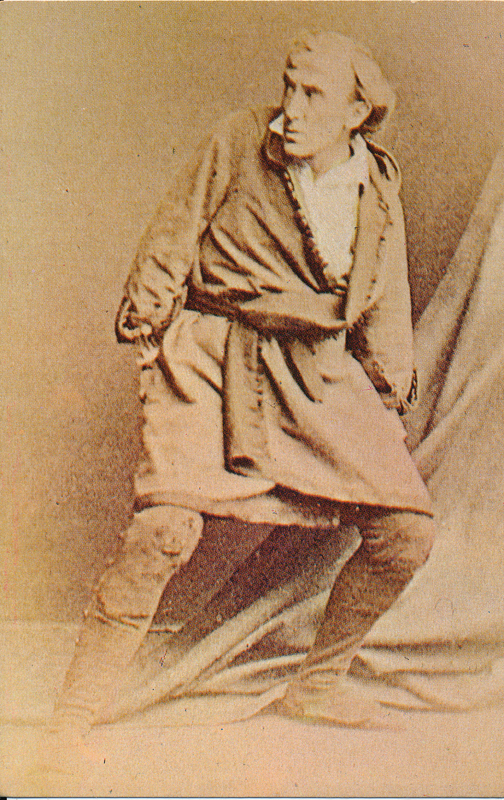 Irving’s breakthrough came with the success of The Bells in 1871, produced at the Lyceum in London. From then on, his personal life took second place to his professional life. On opening night of The Bells, November 25, 1871, Irving’s wife, Florence criticized his profession: “Are you going on making a fool of yourself like this all your life?” Irving got out from their carriage at Hyde Park Corner, walked off into the night and chose never to see her again. Though they never formally divorced, he never married again after this. Their two children were Henry Brodribb, born in 1870, and Laurence, born in 1871. Henry “H. 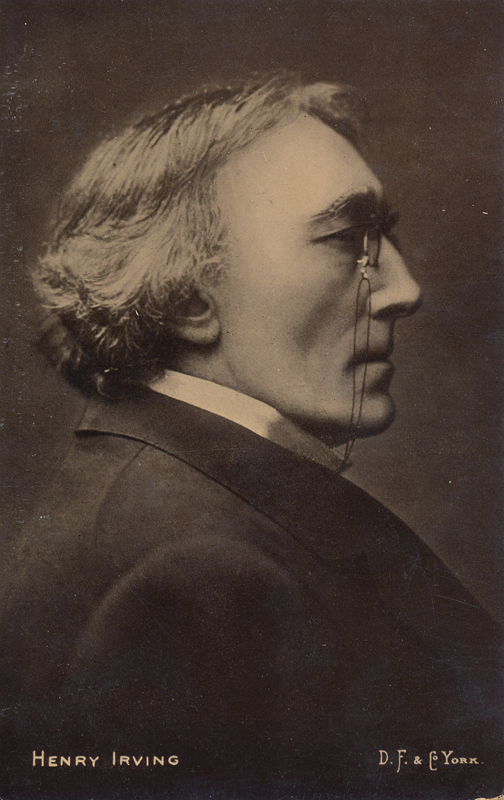 B.” Irving became an accomplished actor-manager in his own right and later a lawyer and writer. It was after this that Irving took over the lease for this theater, the Lyceum, from Hezekiah Bateman, and Ellen Terry became his leading lady. She was the Ophelia to his Hamlet, the Juliet to his Romeo, the Beatrice to his Benedick, the Portia to his Shylock, the Lady Macbeth to his Macbeth. Together, they were an international sensation, the gold standard of Shakespeare-in-performance, a tour de force. Their air-tight performing relationship reportedly made Bernard Shaw, then a theater critic, jealous. They went into joint management of the Lyceum in 1878. 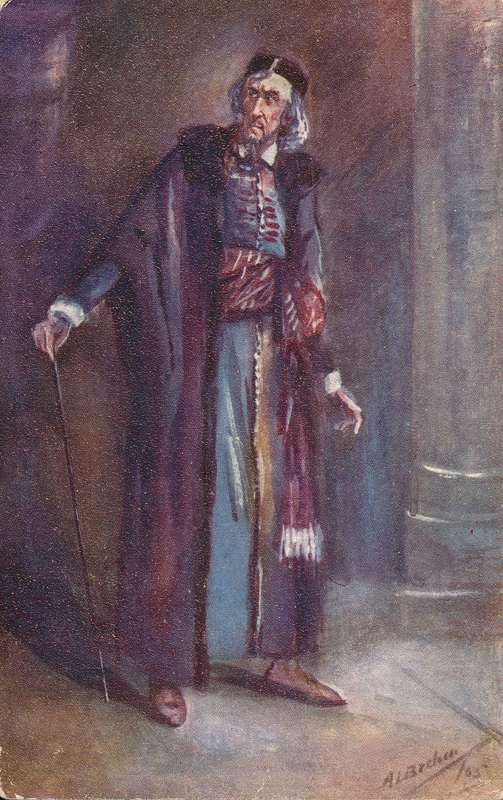 During this period, Irving’s Shylock (shown here) became as renowned as his Hamlet and became the new standard for the Jew’s stage portrayal. 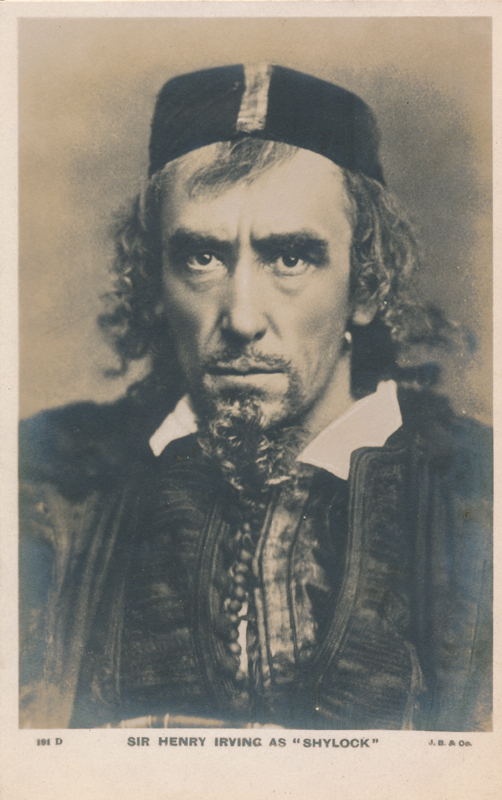 He also famously played Iago opposite Edwin Booth’s Othello. 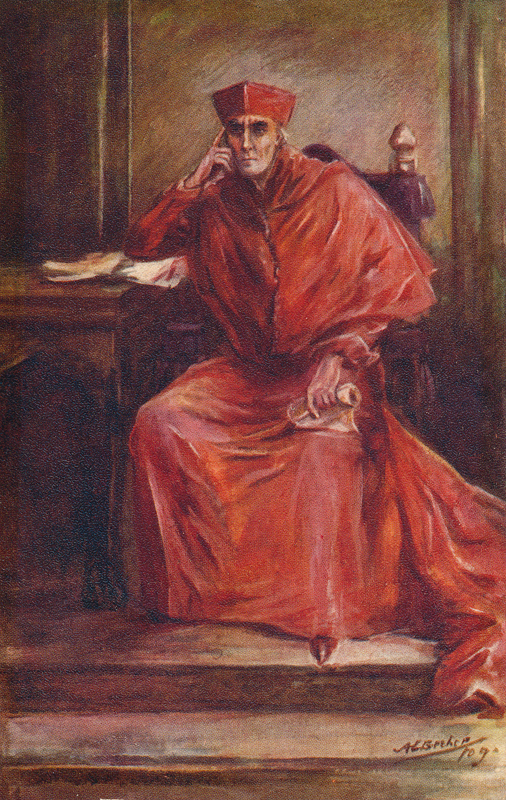 In 1892, he memorably played Cardinal Wolsey in Henry VIII. With the Lyceum company, he and Terry made several hugely successful tours in the US and Canada. As Terry aged, she moved on to solo performances and eventually left the company. 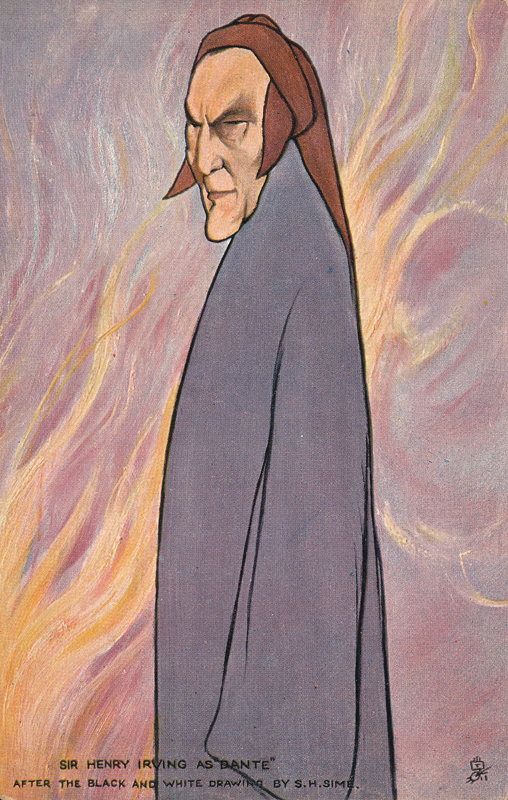 Irving was the first actor ever to be appointed to knighthood, which he received in 1895. 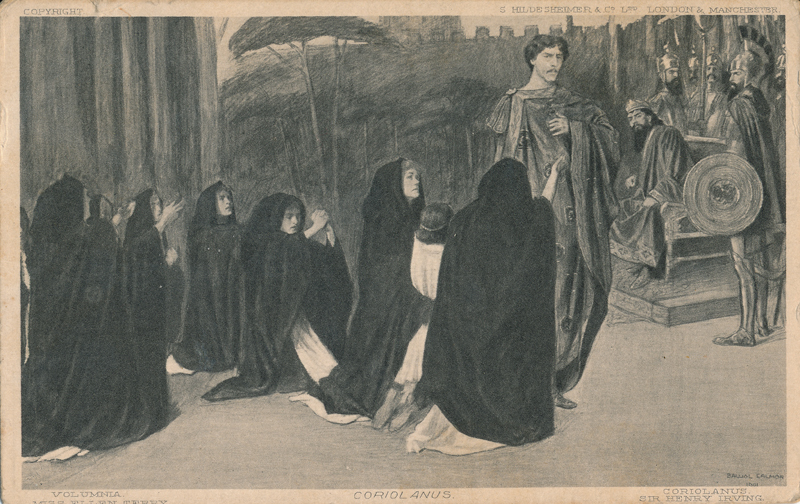 His final Shakespeare performance in London was of Coriolanus, in 1901. 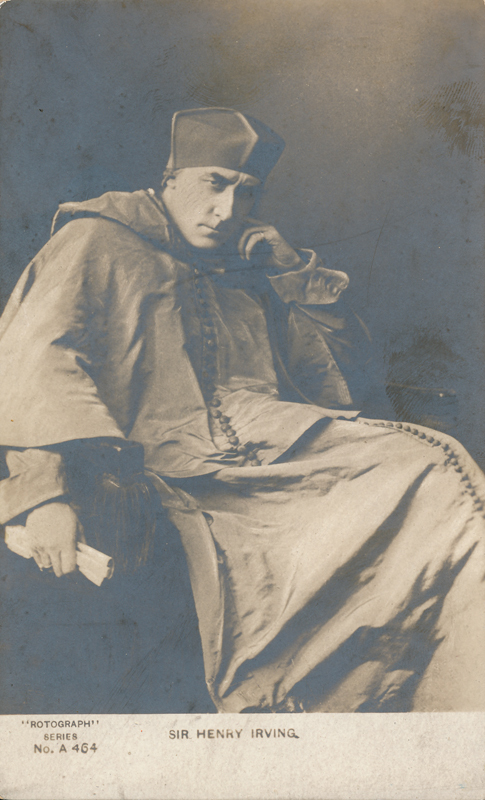 He died in Bradford after having a stroke during his final provincial tour in 1905 where he played crowd favorite, Tennyson’s Becket. The chair in which he sat when he died is now on display at the Garrick Club, of which he was a member. He enjoys the distinction of being the first person to ever be cremated prior to internment at Westminster Abbey. 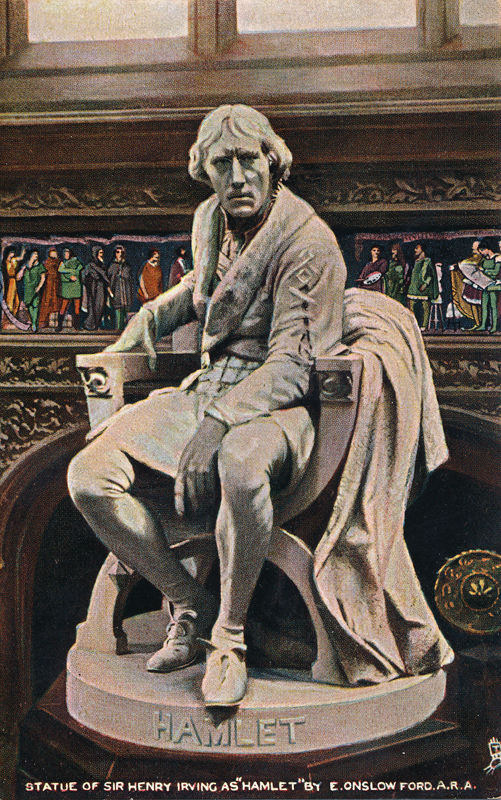 Irving produced his own critical edition of Shakespeare’s works, from a performer’s lens, published as The Henry Irving Shakespeare by Cambridge University Press in 1906. He wrote, in an 1893 issue of The English Illustrated Magazine, that his four favorite parts were Hamlet, Richard III, Iago, and Lear. 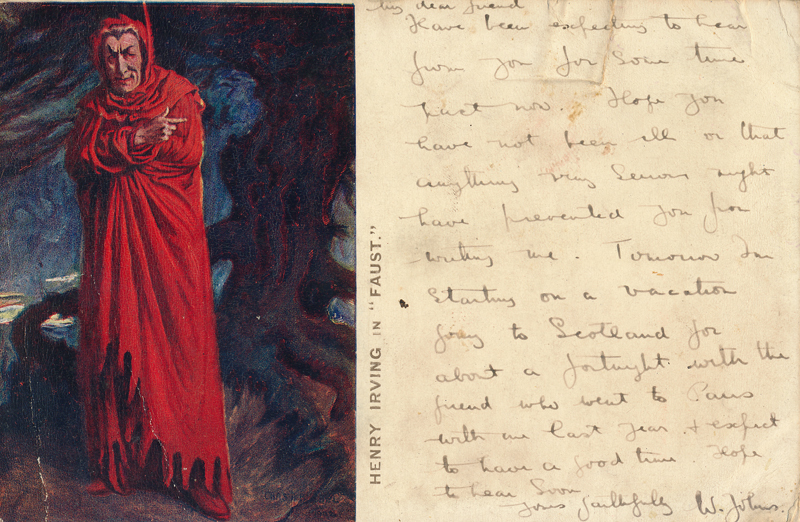 That same year, Bram Stoker, Irving’s manager and friend, published a two-volume biography titled, Personal Reminisces of Henry Irving. William Archer published a study (1885) of Irving during his lifetime, but the rest came posthumously. 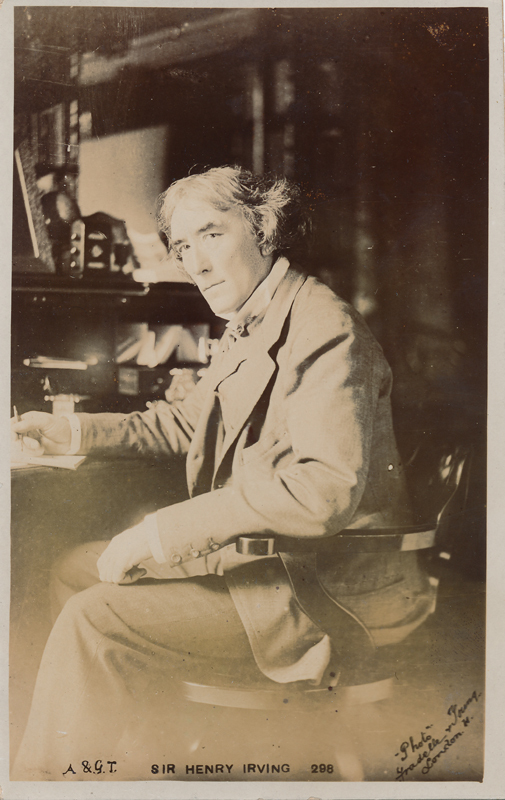 There have been many books published about the monumental Sir Irving and his work, even to this day.